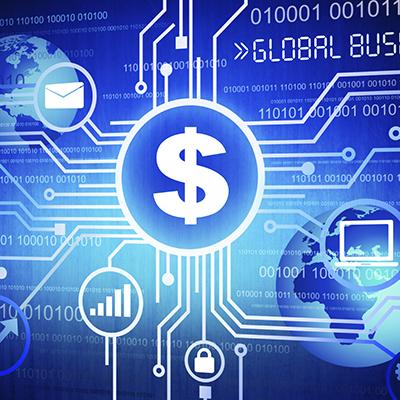 Financial institutions across the world are investing in improving their software. In Europe alone, according to a recent survey £18 billion was invested by the banking industry. We would like to help you to enhance your customers’ digital banking experience with more responsive, more intuitive, more flexible software. Set yourself apart from your competition with BankWare. BankWare will improve your and your clients’ digital experience and positively impact your bank. BankWare is a “customer-centric” core banking solution that runs the front, middle and back office of any bank of any size. Its flexible, robust and resilient architecture supports multiple branches, often in different time zones, whilst at the same time being a “bank in a box” solution ideal for the smaller user or new bank. It’s logical and easy to follow design means that BankWare is faster to configure and implement than other solutions without suffering the loss of flexibility. BankWare is made up of several discrete but fully integrated modules that, in turn, are further subdivided into components. A BankWare installation comprises a selection of components that are matched with the exact business requirements of your bank. These components may be mixed and matched into any logical combination and new components may be added at a later stage without financial penalty. BankWare fully integrates into iBank and AMLtrac. To find out more about BankWare our core banking software simply fill in your details on the right-hand side of this page and we will get in touch without delay. BankWare supports Instant Access and Notice Deposit Accounts where the interest rate can either be fixed or tied to a reference rate for the currency. It can handle unlimited back or forward valuation of movements or reference rates or margins and calculates and adjusts the accrued interest that evening for all accounts affected by the change. Multiple balance break levels can be configured either on a tiered or threshold basis. Interest can be paid to any other account or applied on a compound interest basis. Fixed term deposits can be set up where the rate is fixed and the interest is applied, or paid, at the end of the term. Facilities are available to either roll the deposit automatically and grow the principle or it can be treated according to customer request. Income bonds can be set up either on a fixed or variable interest rate basis where interest is paid at intervals during the term of the bond with, or without, intermediate capital repayments being allowed. Overdrafts/Call Loans can be set up either on a fixed rate basis or on a variable rate basis tied to a reference rate. BankWare supports unlimited back or forward valuation of movements or reference interest rates or margins and calculates and adjusts the accrued interest that evening for all accounts affected by the change. Multiple balance break levels can be configured either on a tiered or threshold basis. Interest can be charged to any other account or applied on a compound interest basis. Instalment loans and mortgages can be set up on a capital and interest basis tied either to a fixed or variable interest basis for any period of time. Customer preferences are predefined so as to minimise human intervention in the case of a rate increase or decrease. For those customers where an overdraft or an instalment loan is inappropriate for their needs the lending module has the capability of underwriting both hire purchase and leasing agreements. The Collateral Management component enables the bank to identify the underlying security which can be tied either to a customer in those cases where it is covering multiple loans or to an individual loan itself. The banks currency and liquidity positions are managed through the Dealing Room component where the dealer is the primary source of data entry. Positions, diaries, blotters, cash flows are all impacted in real-time by other transactions occurring in BankWare as they are when the dealer enters trades. For those counterparties where standard settlement instructions have been exchanged the trade will be settled automatically giving rise to high levels of STP. Otherwise the Settlements component enables the back-office to settle a new deal or modify the settlement instructions on an existing deal. All limit excesses given to the dealer at the time of data entry are re-advised to the back-office staff for control purposes. For those customers who to run a traditional banking hall the Teller Services module enables the cashiers to conduct paying in and cash withdrawal transactions in real-time at their position. Buying and selling of Foreign currency notes can also be configured to be part of teller services function. Receipt printing is standard with the option to print passbooks if required. Current (checking) accounts can be set up and cheque-books and/or debit cards assigned to them. Standing orders can also be set up for the payment of regular bills. Account charging is an automated process allowing for a static maintenance charge and individual transaction charges to be calculated and taken at pre-set user-defined intervals subject to minimum balance rules. All charges can be made subject to a customer pre-notification process. The Clearing Interface reads daily inbound files for the automatic application of cheques and direct debits against customer accounts. For outbound payments it produces BACS or FPS messages either initiated in the back office or through iBank. Debit cards can be assigned to any current account in any currency. The Card Configuration component enables the user to define the characteristics of the particular card such that cards of different types can be associated with a single joint (family) account for example. The Card Management and Distribution component is where one or more new or replacement cards are associated to an account and ordered. This in turn generates the necessary file format for the card to be produced either internally or at an external source. The Card Processing component is a 24/7 service that handles and approves or rejects requested ATM, POS or pre-authorisation transactions. Settlement File Processing reconciles and posts the settlement file when received from the processing switch. The Call Centre component is a browser-based service that enables the bank to outsource the call centre to a third-party provider. It provides limited and controlled access into the bank’s system to allow the third-party to record lost and stolen cards and to block them accordingly. This module and the customer centric architecture of BankWare enables the user to see a customer’s total exposure, in any currency of the users choice, instantaneously and in real-time across all the products where the customer has exposure thus enabling the bank to be in control of its risk at all times. Exposure, and limits, can be set for the client, the group, country and geographical region and can be divided into different tenors. All are available for viewing at the touch of a button. All transactional components integrate into the exposure management component. Payments and transfers can be initiated by the user in BankWare or by the customer using iBank. Supported message formats include SWIFT, BACS, Faster Payments and CHAPS. The use of beneficiary templates minimises errors and facilitates a high level of STP. Quikpay is ideal for those customers of the bank that have many payments to be made at one time and are able to send them in as a file. Private and public keys are exchanged between the bank and its customer such that when the file is received by the bank it is encrypted. BankWare decrypts the file and provided the customer has sufficient funds in their account automatically processes the payments on an STP basis. The SWIFT Message Queue and Editor enables the bank to manage the SWIFT messages generated or manually created within the BankWare components. Messages can be flagged for STP processing or they can be stopped for manual verification is required depending upon the banks policies and procedures. The Message Preparation enables any user given the rights to be able to manually produce any SWIFT message and to submit it for verification and approval. The Message Notification is a permanent on-screen widget showing designated users specified message types that are still pending authorisation and release from by the bank. Selected Inbound Messages are recognised and processed by BankWare accordingly. Inbound MT103’s are automatically applied to the beneficiary account without manual intervention. MT700 messages are transformed into outbound MT710.s for onward transmission. At the heart of BankWare’s accounting module sits its own Multi-currency General Ledger that enables self-balancing ledgers to be created and maintained in an infinite number of currencies. Both nominal accounts and customer accounts are created and are run within the module and all transactional products integrate into it. User defined free format balance sheet/profit and loss reports and budgets can be set and maintained across an individual branch or across the entire institution. To assist with the reconciliation of the high volume of transactions across the banks Nostros BankWare offers a Nostro Reconciliation component. This automates the reconciliation process and generates the necessary balancing entries to bring the banks ledger in line with the statement provided by the Nostro either as an MT950, CSV or any other format. Financial Intelligence is used where selected accounting and transactional information is dumped into BankWare’s data warehouse for the user to interrogate, build models, trends and graphs using either pre-configured or self-generated Excel enquiries. The statutory reporting module contains a number of components that may be configured and used depending upon the jurisdiction of the bank. The UK Section 17/SI03 tax reporting records details of interest paid to UK and European taxpayers throughout the tax year and produces the necessary information in electronic form to be transmitted to HMRC. Single Customer View is an essential component for all of those institutions that are regulated under the U.K.’s Financial Services Compensation Scheme. It produces all of the necessary information in the prescribed electronic format at the push of a button. Regulatory Reporting. Whilst BankWare itself does not produce the regulatory reports it interfaces into all of the recognised providers of UK regulatory reporting software and, in some cases, the same interface works with regulatory reporting software in other jurisdictions. The Applications Manager is the control mechanism that regulates which user has access to which parts of the system and what their roles, privileges and rights are. Each user has their own bespoke menu which only shows those products, enquiries and reports which they are entitled to see. Designated security officers use the System Security component to set data entry limits for the products to which the user has data entry or verification rights. Customer Information is the central database in which all customer data is stored and around which all other data rotates. The customer Contact Management System enables you to record all contact with your customer including scanned images of letters, e-mails and telephone conversations etc. Scanned attachments can either be tied to the customer record or to one of their accounts as might be the case in, say, a loan agreement. CMS integrates into Microsoft Office to enable you to make diary appointments with, or send e-mails to, the CRM. Static Data. BankWare has many parameters and can easily, and efficiently, be configured to meet the unique requirements of any institution enabling that bespoke system feeling but without they inherent cost overheads.